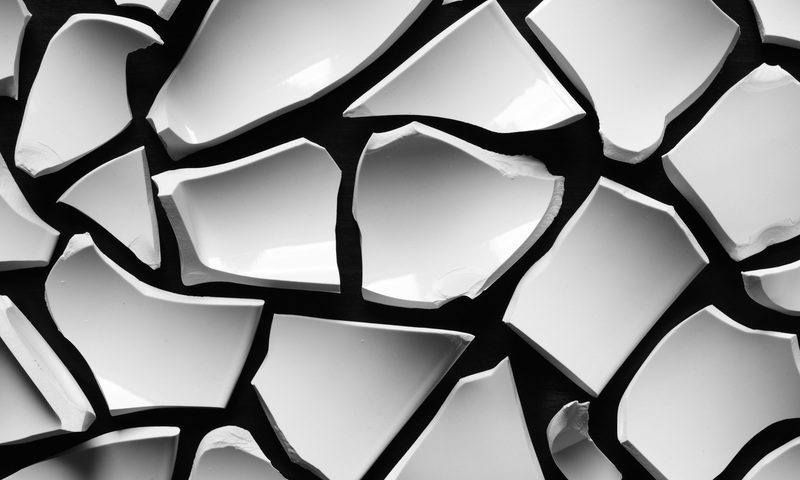 When you break a piece, make sure you pick up all the pieces. 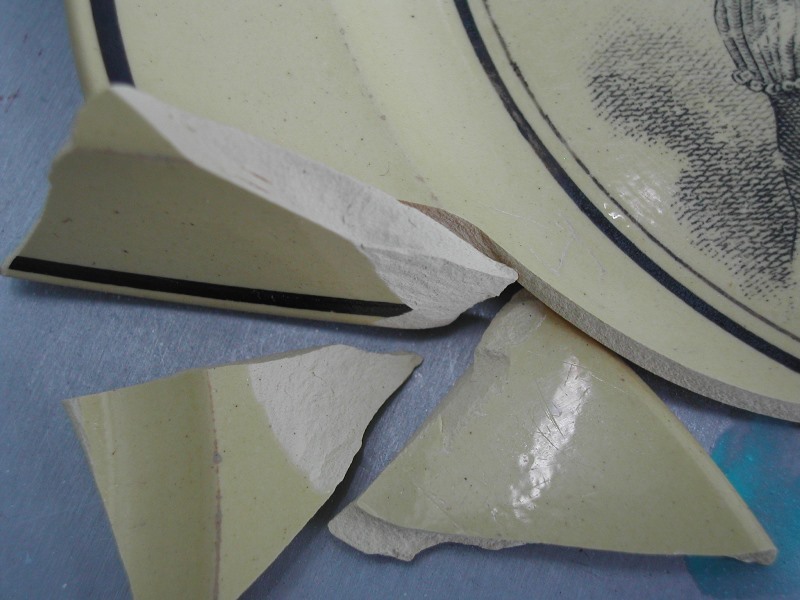 Wrap them individually in bubble wrap or paper towel, so that the shards do not wear by rubbing against each other. Above all, do not soak it in bleach! 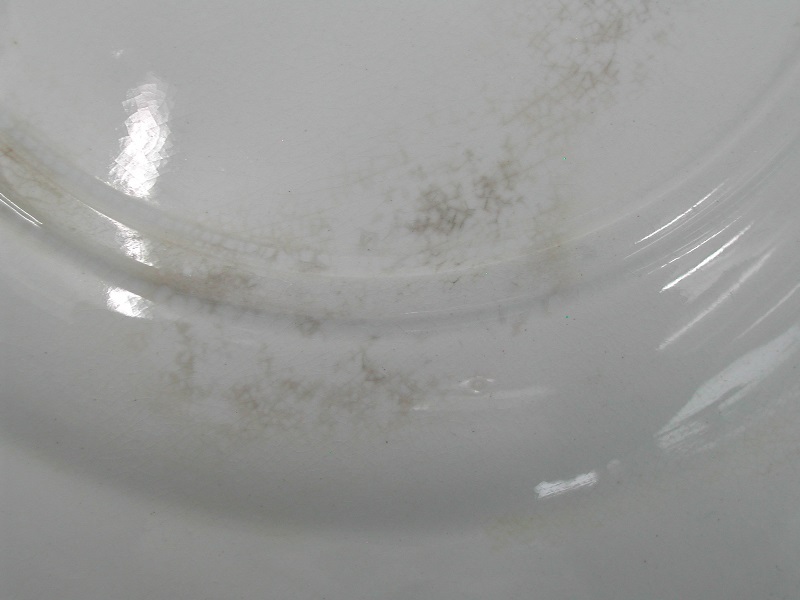 This process, valid for a porcelain, deteriorates and weakens your part in the long term. Bleach will penetrate the earthenware, bleach the dirt without getting them out. A few months later, crystals will form, making the earthenware crumbly. No whitening treatment will then be effective thereafter. 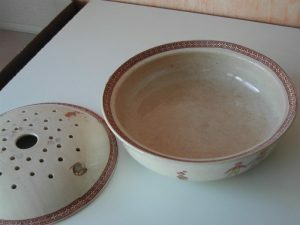 Specific treatments that do not alter the earthenware exist. Entrust your pieces to a professional.